. While it’s a difficult topic to approach, it’s always helpful to know up-front what the options are in your state. This way, you’re not blindsided by new information while trying to co-parent and be separated at the same time. Who will get custody ? Let’s start with the general rule and that is under California law that there is a presumption that it’s in the best interest of the children that they have frequent and continuing contact with each parent. Som e parents have misunderstood that to mean that the children should have equal time with each parent and that isn’t the case. And in fact that is never the case. It is almost never feasible to have a true 50 50 kind of arrangement, so if I were to exclude any one arrangement that’s probably one of the most common to be excluded. There is no simple answer to who is going to get custody, or should we say primary custody of the children, but there are several factors that the judge is going to consider in making the determination. There are some obvious ones, and sadly the simplest cases are where one parent is incarcerated or as a serious addiction problem, perhaps has a history of either child abuse or of domestic violence. Obviously the other parent is going to get primarily if not sole custody and that kind of case. But, in an ordinary case, we’re talking about two reasonably competent parents two whom the children are well and closely bonded. So in that kind of situation the judge is going to look at what has been the status quo, what has been the routine, if there is one well established for the children because we’d like to avoid disrupting that is much as we can. How far apart do the parents live? How much time does it take to get them from one parents’ home to the other? Is it feasible for either parent or for both parents to pick up the children from school and to drop them off. There are purely logistical considerations that are going to be made and making the decision. . While there are many parents who decide amicably to have shared custody of their children, otherwise known as joint custody, there are cases that must be decided upon by a court of law. Cases that involve one parent seeking sole custody may arise if their former partner exhibits damaging behavior. Types of behaviors can include a history of drug abuse, domestic violence, child abuse or other criminal activity. More often than not in California, if a parent is shown to be currently engaged in such behaviors, the party seeking full custody will most likely be granted their request by a family court judge. Parents is custody disputes or amicable arrangements will often hear different terms relating to child custody. Amongst these terms is legal custody, which pertains to those custodial obligations that involve health care and education. Whereas Physical Custody refers to the actual physical housing of the child, which also includes routine daily care. When former partners seek joint Custody, they’re agreeing that both parties have a say in their child’s upbringing moving forward post-divorce. However, this doesn’t always indicate that each parent will have equal time, as one parent may not be as available due to a particular work schedule for example. When one party is awarded primary custody in a custody case, the other can still be awarded court-ordered visitation with the child. The custodial parent is whom the child primarily lives with. However, should a custodial parent deny the other party their legal visitation, it will negatively impact the custodial parent’s case with the court. It’s important to choose the custodial path that benefits your children most. While it’s easy to get swept up in the stress and emotions of a divorce, a healthy custodial situation is challenging at times but, best for your children. Understand your options before making a child custody decision. Study all the terms and legal facts pertaining to California’s stance on child custody, so you can feel prepared and confident moving forward! 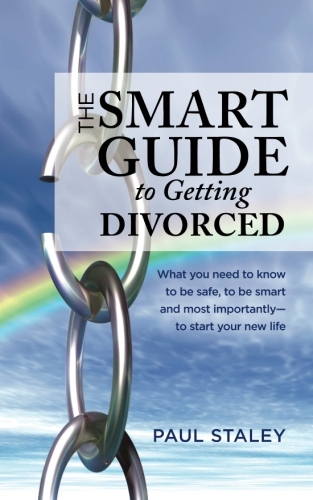 Previous post: Divorce without a lawyer?